Câmara de Lobos has 52.15 km ² and 35,666 inhabitants (2011), divided into 5 parishes. The Camara de Lobos municipality was created in 1835 and the village was elevated to city status on 2 August 1996. 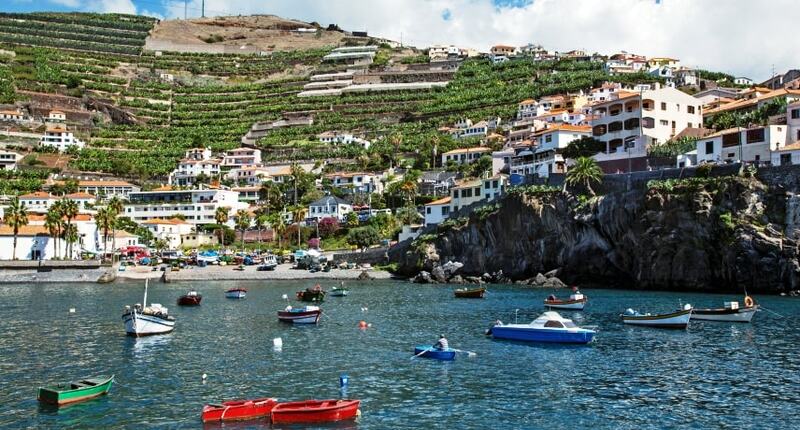 In this county is produced universally famous Madeira wine. In 2011, according to data from IVBAM (Institute of Wine, Embroidery and Handicrafts Madeira), 62% of the grapes collected in Madeira for the production of Madeira wine, had their origin in Câmara de Lobos municipality, especially to the Estreito de Câmara de Lobos parish which represents about 88% of such production. In Câmara de Lobos there is also fishing, an activity that gives the main visual feature of the city. The capture of the black scabbard fish species that gives its name to one of the biggest festivals organized in the city during the summer season, represents the majority of the local catches.